Innjoo Max 2 is a portable android device that features a 5.0 inches screen display, 16M color, 720 x 1280 pixels resolution, 13MP rear camera, and 8MP front snapper with dual LED flash beside the rear camera. The smartphone runs on Android 5.1.1 Lollipop out of the box, which is powered by a 1.3GHz quad-core MediaTek chipset, coupled with a 1GB RAM and a 16GB internal storage. Rooting the Innjoo Max 2 device is of great importance, as you’ll be able to run special apps like Greenify (best optimizer & battery saver app), tweak dark corners of your device and also manage RAM. However, we tried most popular root exploit like kingroot, framaroot, root genius and some other android root apps, but none avail. Thanks to team hovatek, as they managed to port TWRP Recovery for Innjoo Max 2, which makes rooting possible. 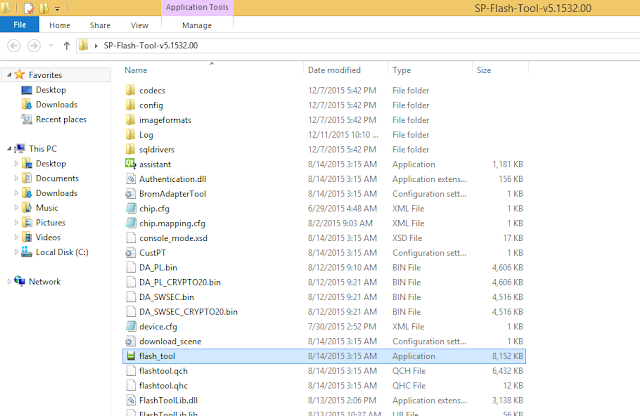 In this guide, I would brief you guys on how to install TWRP Recovery on Innjoo Max 2 using SP flash tools and then rooting follows. That’s it. TWRP Recovery is now installed on your Innjoo Max 2, to boot to recovery mode, simply press and hold Volume Down button + press Power button. Step 1: Firstly, download the SuperSU file from here, and move the downloaded files to the internal storage of your Innjoo Max 2 device. That’s it. Your Innjoo Max 2 would be rooted successfully. To verify root access, simply download root checker and confirm if your device has gained root access.